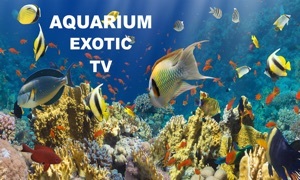 The highest quality aquarium app for your Apple TV. Bring a beautiful relaxing aquarium into your home. Perfect for relaxation, entertainment, or simply to leave on your TV while you go about your day. All videos are professionally captured in STUNNING 1080p 60fps HIGH DEFINITION. 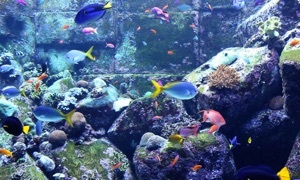 • Tropical Aquarium - Colorful fish swimming in their coral paradise. • Japanese Aquarium - An underwater world of Japanese architecture and happy little fish. 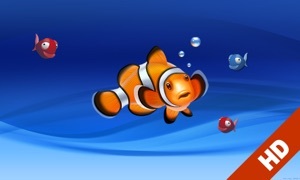 • Goldfish Aquarium - Goldfish, a classic that never goes out of style. • Calm Blue Aquarium - These small fish are just chillin' out. Feel the zen. • Shark Attack! - Just kidding, these sharks aren't attacking anything. But still, sharks are really cool.